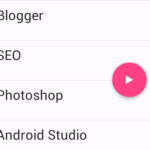 How to create android app with FAB and implement setOnClickListener() function on floating action button. 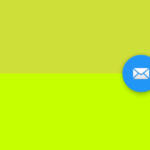 Floating action button is a new type of widget element extend with ImageButton. 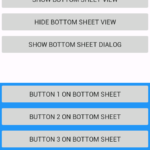 It is basically used for a special promoted action and displays the right bottom side of android UI screen. 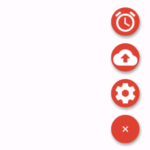 So in this tutorial we are adding floating action button inside our current android activity by using Design support library and after adding it we are going to add click event on it. 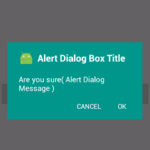 So here is the complete step by step tutorial for Add Material Design Floating Action Button(FAB) in android studio app project with support library. 1. 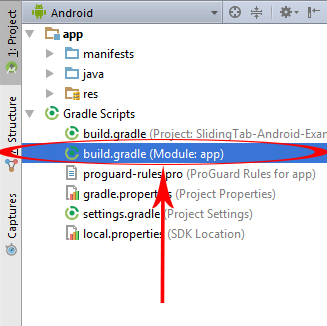 Open your project’s build.gradle ( Module : app ) file. 2. Please add below code inside your build.gradle ( Module : app ) file. 3. 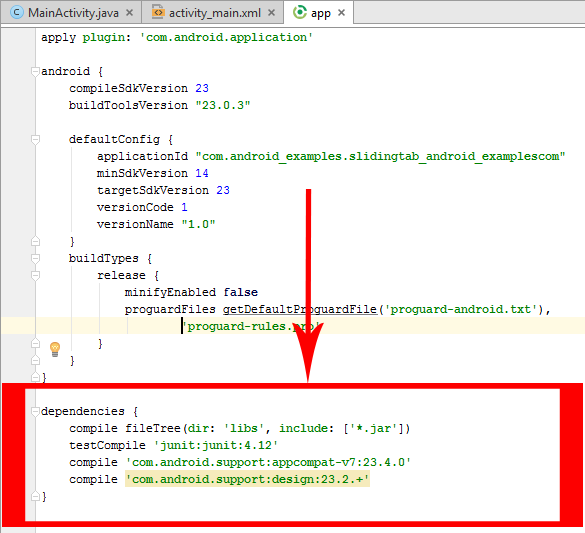 Screenshot of build.gradle ( Module : app ) file after adding above code. Here your go friends….Now We are going start coding. 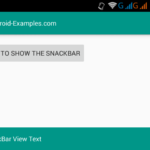 How to Add Material Design Floating Action Button(FAB) in android studio app project with support library. 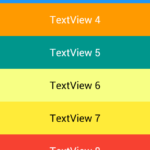 Code for context_main.xml layout file. 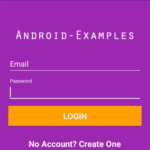 Click here to download Add Material Design Floating Action Button(FAB) in android studio app project with support library project with source code. © Android-Examples.com, All rights reserved.